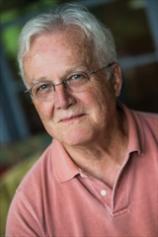 Russell Banks is president of the Cities of Refuge North America and a member of the American Academy of Arts and Letters. His work has been translated into 20 languages and has received numerous international prizes and awards. He lives in upstate New York. The 12 stories in A PERMANENT MEMBER OF THE FAMILY examine the myriad ways that we try --- and sometimes fail --- to connect with one another, as we seek a home in the world. The book charts with subtlety and precision the ebb and flow of both the families we make for ourselves and the ones we're born into, as it asks how we know the ones we love and, in turn, ourselves. Suspended in a strangely modern-day version of limbo, the young man at the center of Russell Banks’s new novel must create a life for himself in the wake of incarceration. On probation after doing time for a liaison with an underage girl, he is shackled to a GPS monitoring device and forbidden to live within 2,500 feet of anywhere children might gather.